Lake Shihwa, surrounded by Siheung, Ansan, and Hwaseong City of the Gyeonggi Province, is an artificial seawater lake that has been made as a part of national roadmap for large-scale land reclamation project. The lake was created by the completion of the tidal embankment between Oi-island of Siheung and Daeboo island of Ansan from June 1987 to January 1994. The name Shihwa comes from the first letters of the cities located in both ends of the seawall, in other words ‘Shi’ is from Siheung and ‘Hwa’ is from Hwaseong. The length of the seawall is 12.7㎞, the area of the lake is 56.5㎢, the basin area is 476.5㎢ and the total reservoir volume is 332 million tons. The size of the reclaimed land, created through the construction of the seawall around the lake, is 133.7㎢. Lake Shihwa was originally planned as a freshwater lake to supply water for farmlands and industrial complexes around the lake. However, after the construction of the seawall, the influx of industrial wastewater and domestic sewage drastically deteriorated the water quality of Lake Shihwa. So the lake had been called 'the Lake of Death' in the mid and late 1990s. The Ministry of Environment started circulating seawater to improve the water quality in 1997, but that was not enough. Ultimately in December 2000, the government officially renounced Shihwa as a freshwater Lake and declared it as a seawater lake. In 2000 Lake Shihwa was designated as a special management area by the Ministry of Land, Transport and Maritime Affairs, and the ICM (Integrated Coastal Management) parallel site of PEMSEA (Partnerships in Environmental Management for the seas of East Asia). From 2001, the Ministry of Land, Transport and Maritime Affairs has implemented the integrated coastal management with the relevant authorities to improve the water quality and to restore the ecosystem . 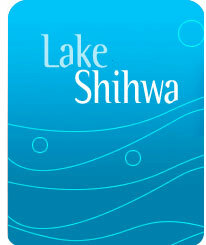 But there are still ongoing development projects in the reclaimed lands of the Lake Shihwa Watershed. 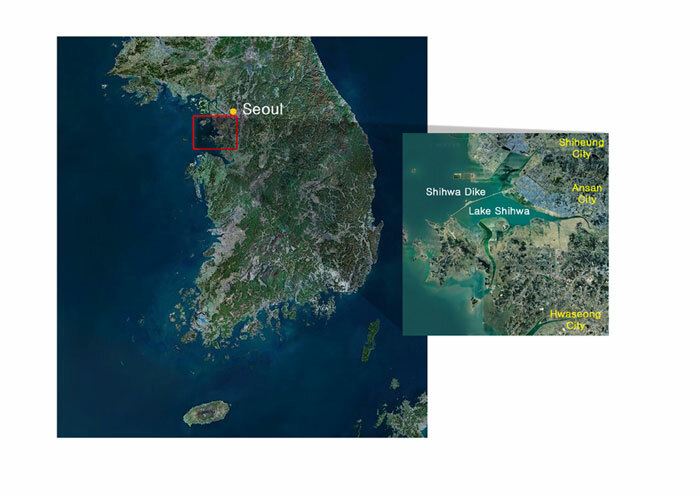 The Shihwa Multitechno Valley (an industrial complex) in the north of the reclaimed area , the Songsan Green City (urban development) and the Daesong Complex (reclaimed farmlands)in the south are under construction. Still lots of pollutants from the watershed flow into the lake and due to the development of the reclaimed area, pollution increase is inevitable. So the continuous environmental management is necessary in order to recover the health of the ecosystem in the area.